Reminiscent Of The Finest Inlaid Enamel And Gold Filigree, This Elegant Design Is A Rich Border For The Marriage Vows. Fine Gold Foil Accents Add Sophistication To This Classic Ketubah. This Ketubah Measures 19.5" x 23". 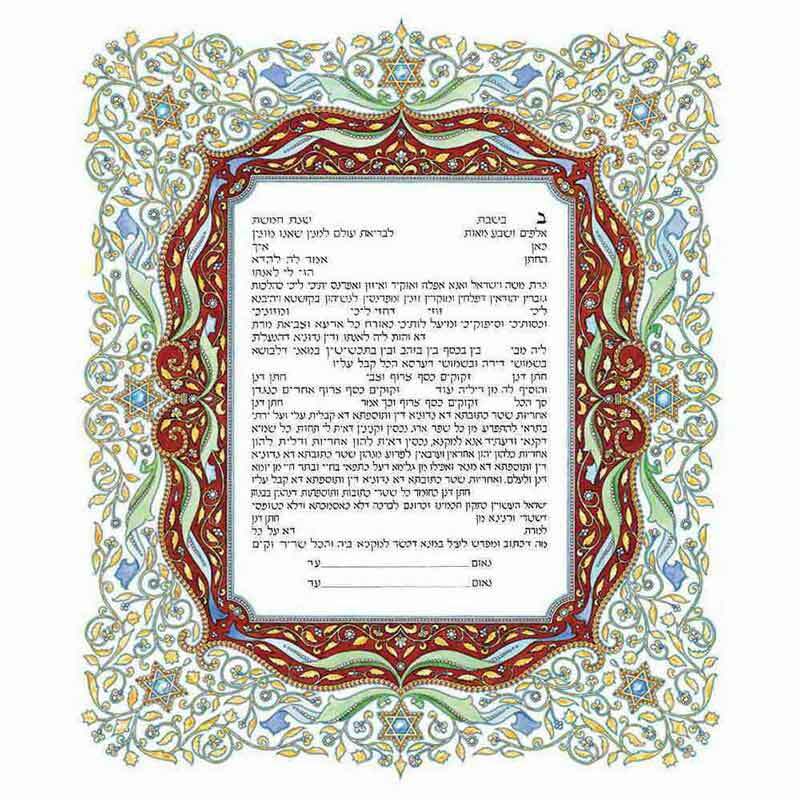 The Ketubah Can Be Personalized. 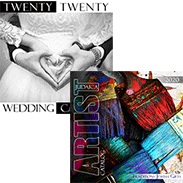 The Artist Will Calligraphy Your Personal Information. Print Your Calligraphy Information Sheet. *Please Note: This Item Does Not Qualify For Any Free Shipping Promotion. Ketubahs Are Considered Special Orders, No Returns Or Exchanges. 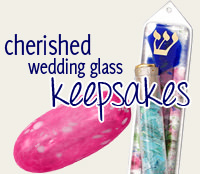 Ketubahs Will Ship Direct From The Artist's Studio. Ketubahs That Are Not Ordered With Calligraphy Will Ship Within 1 Week. Ketubahs Ordered With Calligraphy Cannot Be Processed Until The Calligraphy Information Sheet Is Completed And Returned To Us. Ketubahs With Calligraphy Can Take 2-3 Weeks From The Time The Form Is Submitted To Us. Rush Orders Can Be Accommodated. Please Contact Us To Discuss Your Needs. 1-800-493-0520. Print Your Calligraphy Information Sheet.